Emory Healthcare and DeKalb Medical are close to completing their strategic partnership, initiated through a letter of intent signed in November, 2017. The Federal Trade Commission has approved the partnership, and the application will now be filed with the Georgia Attorney General. Pending the Attorney General’s review and approval, the deal is anticipated to close within 100 days, and DeKalb Medical will be part of the Emory Healthcare system. Over the past several months, leaders from both institutions have been immersed in the process of defining the final agreement, and teams have been working to ensure a smooth transition of staff, physicians, patients and processes. Both Emory Healthcare and DeKalb Medical have a strong historical commitment to DeKalb County. Emory has had a presence in DeKalb for more than 100 years, with more than half its employees residing in DeKalb and the surrounding vicinity. DeKalb Medical has been serving the region’s patients and families for more than 57 years. 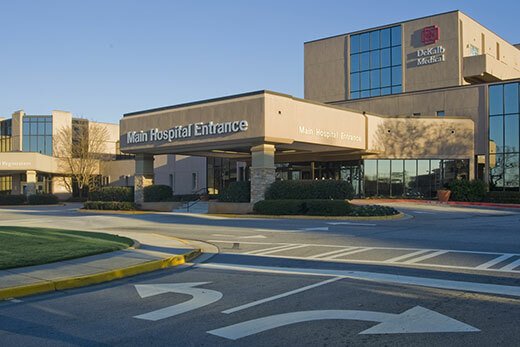 Emory Healthcare, a nonprofit organization, is the most comprehensive health system in Georgia, with seven hospitals and 200 provider locations in metro Atlanta and surrounding communities, including nearly 60 urgent care clinics. It has more than 2,000 physician providers in 70-plus specialties, including more than 220 in primary care. With an additional 23 regional affiliate hospitals, Emory Healthcare has a footprint in more than 40 counties throughout the state. Emory Healthcare is the clinical component of Emory University and is part of Emory’s Robert W. Woodruff Health Sciences Center, an academic health center comprising hospitals and clinics as well as schools of medicine, public health, and nursing, the Winship Cancer Institute, and Yerkes National Primate Research Center.